Images taken by the HiRISE camera onboard the MRO orbiting Mars seem to indicate intelligently designed structures and subdivision which seem to be of logical proportions of the base dimensions. 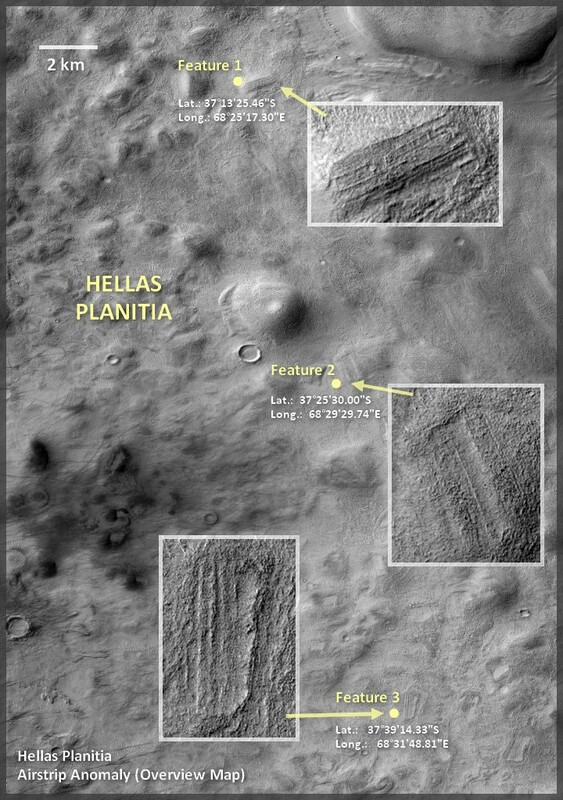 The anomalies found at the Hellas Planitia have roughly the same length and similar straight features that spread across a distance of one kilometer. 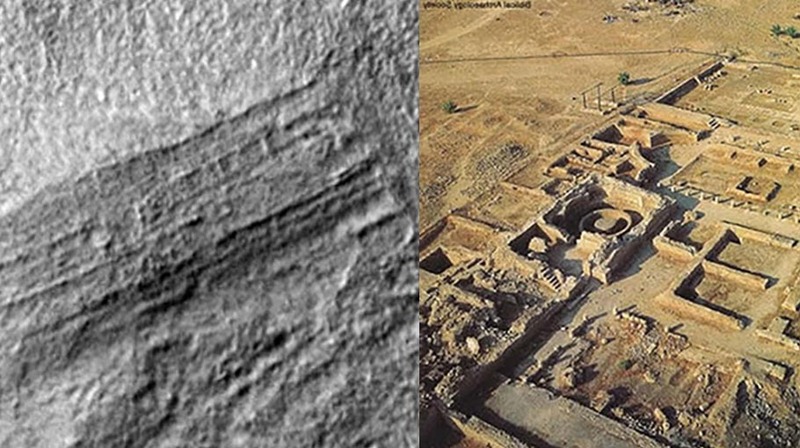 A comparison of the structures on Mars (left) and an archaeological site on Earth (right).